Marvel’s very universe has always in chaos, within (Ultron, Secret Wars) and without (Sony’s Spider-Man, Marvel Studios V. Marvel Comics). 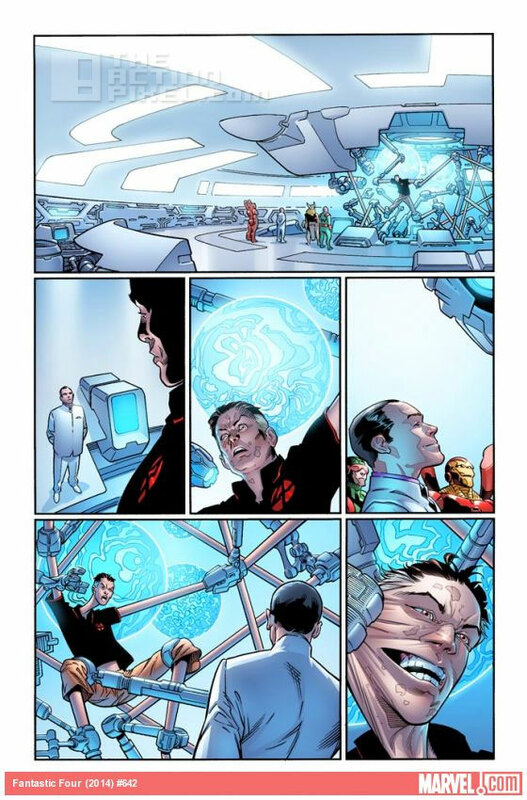 But now it seems Marvel is ready to break-up its ‘first family’- The Fantastic Four in the upcoming issue #642, the first chapter in The End is FOURever. Featuring art from Leonard Kirk and writing from James Robinson, the apocraplyphic episode begins the endgame for Stretch and the team as Invader take on the Fantastic Four. And with the Future Foundations kids and Richard Reed gone MIA, as well as the remaining Fantastic Four being hunted down by the likes of new Captain America and Doc Green, do the quadrouple stand a chance? This January, the countdown begins…and the end of Marvel’s first family is upon us in FANTASTIC FOUR #642 – the first chapter in The End is FOURever! 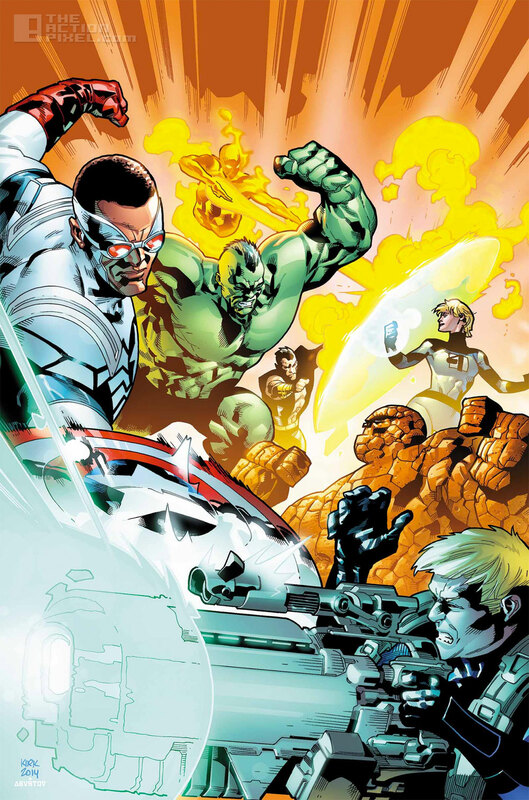 Writer James Robinson and artist Leonard Kirk’s epic endgame begins as the Invaders crash headlong into the Fantastic Four and the hunt for Reed Richards and the missing Future Foundation kids takes a dangerous turn! Meanwhile, the mastermind behind the systematic dismantling of the Fantastic Four reveals his ultimate plan. 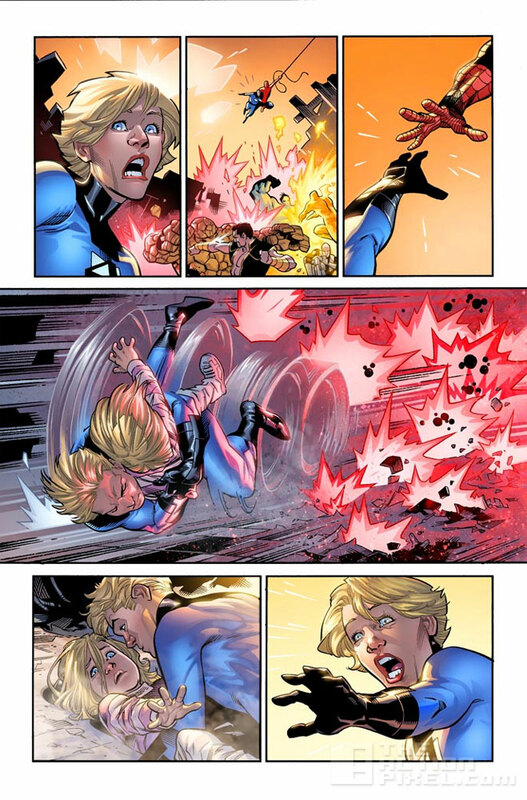 But how does Franklin Richards and his unchecked powers factor in? And why are Jim Hammond, Namor, All-New Captain America and Doc Green hunting the remaining members of the Fantastic Four? Nothing lasts forever. Don’t miss the beginning of the end this January in FANTASTIC FOUR #642! And with rumours circulating of a coming Fantastic Four / X-Men film in the works, we’re pretty sure the Fantastic Four will survive this bout with hopefully not to many loses.